More researchers than ever are using DNA for genealogy and adoption research. There are many books on this subject, but only Advanced Genetic Genealogy: Techniques and Case Studies works through actual cases showing how to use advanced analysis techniques and genealogy standards to get results. Advanced Genetic Genealogy: Techniques and Case Studies will help intermediate researchers move up to the next level and advanced researchers apply the new DNA standards and write about DNA. This new book offers an in-home course in advanced genetic genealogy. It includes about 400 pages, 136 images, most in full-color, and dozens of tables demonstrating analysis techniques, tracking of DNA information, and writing about DNA. Each of the fourteen chapters was written by a professional genealogist with DNA experience. 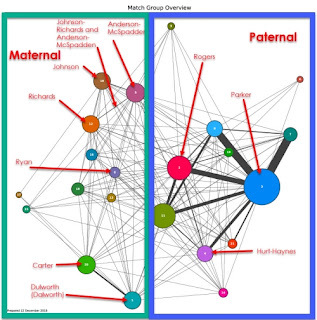 Eight chapters study real families (some using anonymized identities), including methods, tools, and techniques. Jim Bartlett covers how to triangulate a genome (mapping DNA segments to ancestors). Blaine T. Bettinger demonstrates visual phasing (mapping DNA segments to the grandparents who passed down a particular segment to descendants, even when the grandparents cannot be tested). Kathryn J. Johnston shows how to use X-DNA to identify and confirm ancestral lines. James M. Owston describes findings of the Owston Y-DNA project. Melissa A. Johnson covers adoption and misattributed parentage research. Kimberly T. Powell provides guidance (and hope!) for those researching families with endogamy and pedigree collapse. 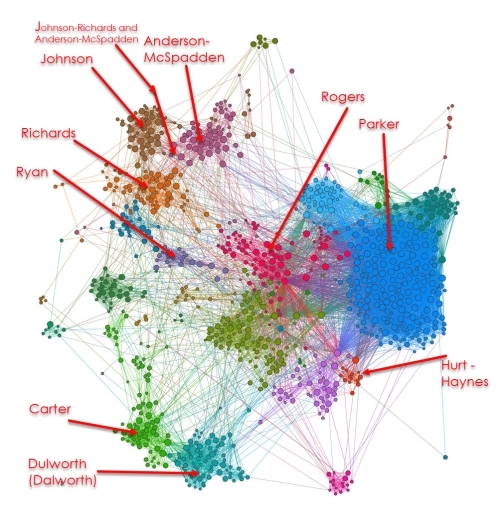 Debbie Parker Wayne combines atDNA and Y-DNA in a Parker family study. Ann Turner describes the raw DNA data and lab processes. Three middle chapters cover genealogy standards as they relate to DNA and documentary evidence. 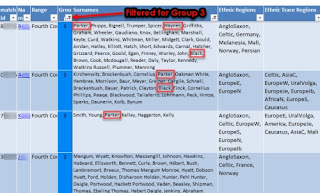 Karen Stanbary applies the Genealogical Proof Standard (GPS) to genetic genealogy in a hypothetical unknown parentage case illustrating start-to-finish analysis. 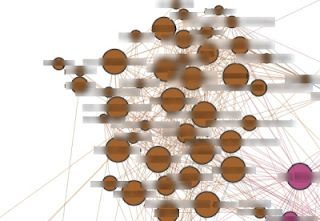 Patricia Lee Hobbs uses atDNA to identify a real-life unknown ancestor and that ancestor's maiden name, moving back and forth between documentary and DNA evidence. Thomas W. Jones describes best practices for genealogical writing and publishing incorporating DNA evidence. Three concluding chapters deal with ethics, emotions, and the future. Judy G. Russell covers ethical issues and considerations. Michael D. Lacopo describes the effect on relationships when family secrets are uncovered, surfacing issues for all concerned. Debbie Kennett covers the current limitations and future promise of using DNA for genealogy. 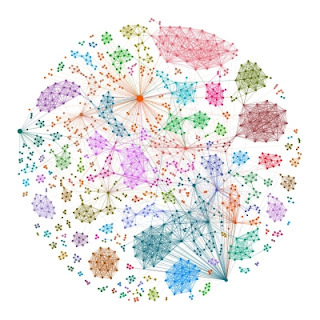 An extensive glossary, list of recommended resources, and index are included. 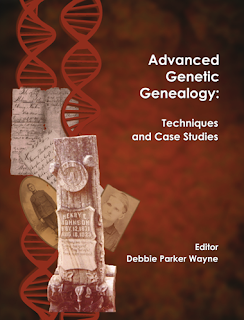 Advanced Genetic Genealogy: Techniques and Case Studies will be available at Books and Things in the NGS conference exhibit hall, Booth 401 (near the front aisle). Reviews and order links for Amazon (print versions) are available at https://www.amazon.com/Advanced-Genetic-Genealogy-Techniques-Studies/dp/1733694900/ and other venues are available at http://debbiewayne.com/aggtcs/ (or at http://debbiewayne.com/ then click on Publications). A Kindle version is scheduled for May availability if all goes well. An announcement will be made when it is available. 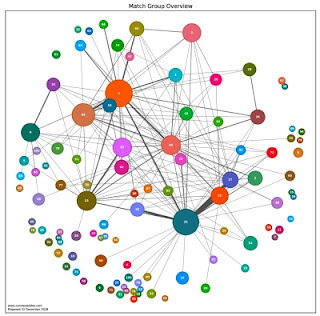 Debbie Parker Wayne, "Now available: Advanced Genetic Genealogy: Techniques and Case Studies," Deb's Delvings, 23 March 2019 (http://debsdelvings.blogspot.com/ : accessed [date]). For "DNA Standards - Part 1" see https://debsdelvings.blogspot.com/2019/03/dna-standards-part-1.html. In the first part I paraphrased the standards for using DNA evidence for genealogy into bullet points. This is the post for "DNA Standards - Part 8." Unless you are working in a legal capacity where you may be held liable for misidentifying descendants you should be able to use whatever sources you wish to use. If you are publishing, your work will be subject to the requirements of the editor. If you are submitting a portfolio to BCG, your work will be subject to the requirements of BCG. You should contact those entities with your questions. There will always be disagreements about what constitutes proof. I have read articles in some of the premier genealogical journals that I do not think meet the threshold for the claims made. Obviously, the editors and peer-reviewers felt differently. Some of those articles were based only on documents and some included DNA. We will never all agree on exactly how much evidence is needed for proof and DNA does not change that fact. Debbie Parker Wayne, "DNA Standards - Part 8," Deb's Delvings, 10 March 2019 (http://debsdelvings.blogspot.com/ : accessed [date]). This is the post for "DNA Standards - Part 7." Debbie Parker Wayne, "DNA Standards - Part 7," Deb's Delvings, 10 March 2019 (http://debsdelvings.blogspot.com/ : accessed [date]). This is the post for "DNA Standards - Part 6." These discussions are likely to continue for the next few years or longer. 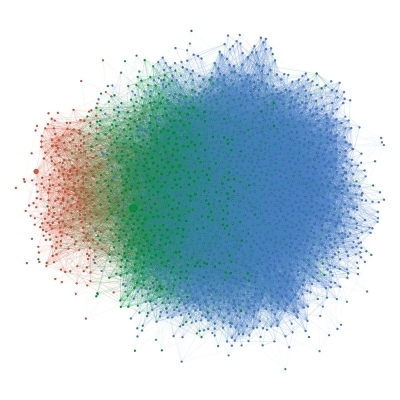 In my time in the genealogical world, the same kinds of discussions took place when computers first began being used and again when so many records became available online. 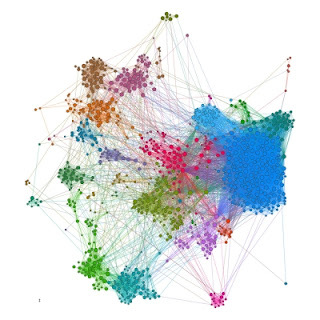 The genealogical community made it through those changes which were major transitions in how we work. I suspect we will make it through this "crisis" in time to be poised for the next one that will surely come. Debbie Parker Wayne, "DNA Standards - Part 6," Deb's Delvings, 10 March 2019 (http://debsdelvings.blogspot.com/ : accessed [date]). This is the post for "DNA Standards - Part 5." Debbie Parker Wayne, "DNA Standards - Part 5," Deb's Delvings, 8 March 2019 (http://debsdelvings.blogspot.com/ : accessed [date]). This is the post for "DNA Standards - Part 4." Debbie Parker Wayne, "DNA Standards - Part 4," Deb's Delvings, 5 March 2019 (http://debsdelvings.blogspot.com/ : accessed [date]). This is the post for "DNA Standards - Part 3." Debbie Parker Wayne, "DNA Standards - Part 3," Deb's Delvings, 4 March 2019 (http://debsdelvings.blogspot.com/ : accessed [date]). This is the post for "DNA Standards - Part 2." Debbie Parker Wayne, "DNA Standards - Part 2," Deb's Delvings, 4 March 2019 (http://debsdelvings.blogspot.com/ : accessed [date]). Tomorrow is the big day when the 2019 version of Genealogy Standards starts shipping. This second edition of the book adds standards specifically for using DNA. 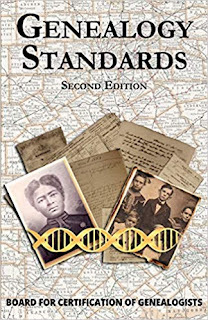 Read more and preorder your copy through the Board for Certification of Genealogists (BCG) at https://bcgcertification.org/product/genealogy-standards-2d-edition/. As an Amazon Associate, BCG earns a small commission from purchases of this volume using this link: https://amzn.to/2XwKr5W. For "DNA Standards - Part 2" see https://debsdelvings.blogspot.com/2019/03/dna-standards-part-2.html. For "DNA Standards - Part 3" see https://debsdelvings.blogspot.com/2019/03/dna-standards-part-3.html. For "DNA Standards - Part 4" see https://debsdelvings.blogspot.com/2019/03/dna-standards-part-4.html. For "DNA Standards - Part 5" see https://debsdelvings.blogspot.com/2019/03/dna-standards-part-5.html. The following presents opinions and interpretations of the standards by Debbie Parker Wayne. This is one interpretation as to how the Genealogy Standards can be applied by all genealogical researchers using DNA. No genealogy or DNA police will come knocking on your door if you disagree with this interpretation and have your own preference on what to do. When we first began discussing standards for DNA, my own goal was to provide guidance for the genealogists using DNA, not to force every genealogist to use DNA (even though I think all should when DNA can contribute to the evidence that answers a question). DNA findings can overturn any conclusions about family relationships. So can many of the other record types that we use every day. I believe any good genealogical researcher can learn to use DNA. Nevertheless, it takes education and practice to become proficient at DNA analysis. Not all good genealogists have yet had time to obtain that education and practice analysis using their own families. 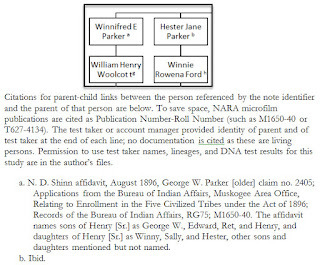 However, ignoring DNA test results when researching kinship questions is akin to ignoring any other record type—census, deeds, probate, Bible records, and so on. Researchers should learn to use all applicable records or obtain assistance to analyze those records. 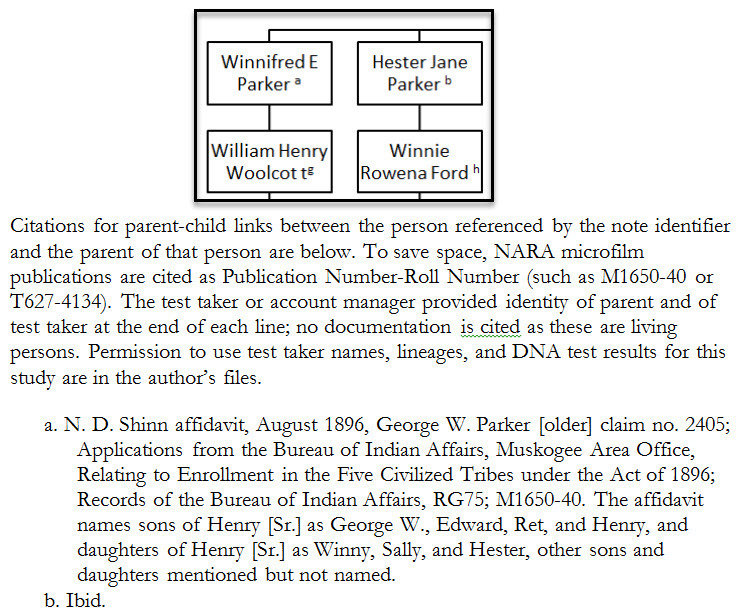 Again, the DNA police are not going to force anyone to do so; however, I think most researchers want to be sure the parent-child links in a pedigree are correct and will eventually use DNA for confirmation. There are many genealogical questions that can be answered without DNA evidence. However, if DNA is used these things should be considered along with all the standards that are not specific to using DNA. Each of these bullet items will be discussed further in separate posts. The last three bullets seem to be causing the most discussion between genealogists. 1. mohamed_hassan, DNA helix, Pixabay (https://pixabay.com/en/silhouette-dna-biology-medicine-3691934); Pixabay license, image modified by Debbie Parker Wayne. Debbie Parker Wayne, "DNA Standards - Part 1," Deb's Delvings, 4 March 2019 (http://debsdelvings.blogspot.com/ : accessed [date]).